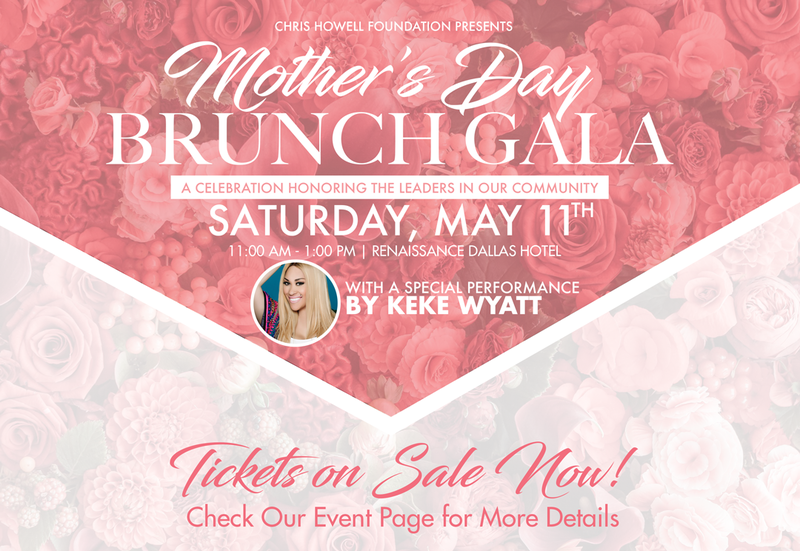 You're cordially invited to join the Chris Howell Foundation during our Mother's Day Brunch Gala. 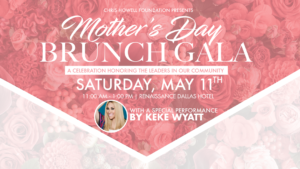 Join us in recognizing the pillars of both our families & our communities during an afternoon of dining, networking, and celebration, which will take place at the swanky Renaissance Hotel in Downtown Dallas. © 2018 Chris Howell Foundation | All rights reserved.